I first applied the Autochrome effect to an image. I gave it a little distortion with the Dents effect. Blurred it with the Surface Blur effect. Converted it to black and white. Added a new layer and covered it with the color brown. I changed its blending mode to Overlay. @nitenurse79 Flatten Image: I don't know what it is and how I can process or find it. I would be very grateful for a short tip. Thanks! You can read some explanations here. It's about Photoshop, but things are pretty much the same in PDN. The command is Ctrl + Shift + F.
Flatten Image means in German - merge image (Ebenen zusammenführen) - so I couldn't even do anything with it, because I set Paint.Net to German. I would never have thought that this was about bringing the layers together. Thanks for your help! I hope that the translation is understandable. A few days already doesn't work out so well for me. Everything exactly as in the picture. Unfortunately, completely different result came out. Also plugins controlled, everything up-to-date. Very beautiful results. Thank you for sahring. I have set my Paint.net in English. That way I'll be much better off. Please, just try it. If you don't get along, you can set it back to German. I used to work with the English Paint.net which made me completely horny after a while, because - I created a pdf book in German and of course I also explained the tools, bars and their tools and plugins in German and had to constantly switch between German and English. Sometimes when I can't find a term and the translation isn't really meaningful, I switch to English, which is a bit annoying because I have to close and reload Paint.net. I try around until I can explain the way in German. Same procedure when I return to the German language. And the term "Flatten Image" did not appear in the English paint.net , only " "layers". But it doesn't matter, because I like to learn and here I am challenged. And in an emergency, I just have to ask. - "Flatten image" merges ALL of the layers in the file. - "Merge layers' merges only the selected laters leaving the unselected layers in-tact. Thank you dear zot for this good link! @Seerose I too could not get the same result as the tutorial. I think, like @Eli, you will have to change a few things. It may be that @nitenurse79 used a different size canvas - but I'm not sure. Change some of the settings in the Auto Chrome. Like the Back color and color variation. I played with this and also, instead of using Surface Blur, I used Motion Blur. Forgive me @nitenurse79 for hijacking your tutorial ? @Pixey WOW!!!!! This is well and simply presented. That's why I like Video-Tuts, because the individual steps are easy to understand. I used the default 800x600 canvas and shrunk the screenshots down to forum regulation size for the purpose of this tutorial. I'm sorry that your not getting the desired results and sorry that some don't know what flattening an image means, if I had created this tute in my native language or made it multi lingual, then I'm sure it would have been locked or deleted. This is the first tutorial I have made since been a member on here and i have never seen any other beginer level tute torn apart by so many. In the future I will just stick to entering competitions, at least my entry there can't be hijacked or taken over. @nitenurse79 writes . . . . and sorry that some don't know what flattening an image means . . . Sorry, translations are not always understandable for non-native speakers. Until today I couldn't do anything with the term "flattening". It's perfectly normal for me to ask questions when I don't understand something. And I'm happy about any answer that could help me. The purpose of a forum is to ask questions and receive answers. Answering my question helped me to understand what you meant by flattening and that makes me happy. Something learned again. I do not expect you to create a tutorial in languages other than english. I think you've got an unhealthy outlook. It seems everyone here has been courteous and the so-called 'hijacking' was only an attempt to reproduce the same results. Three people had trouble reproducing the same results, but nobody said you wrote a bad tutorial. Dear @nitenurse79, I love your tutorial. 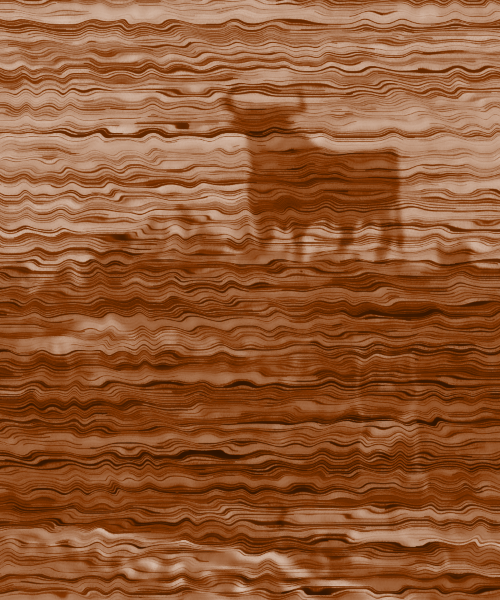 It is short and I learned how to add horizontal stripes/noise to an image. It was not my intention to overtake your tutorial and upset you by adding the Dents step, I just wanted to look like the polished moroocan wood texture "thuya". Thanks again for the time taken to create this tutorial and share it. Actually, you should ask yourself if none has shown your work. At a new tutorial some people show their results. If no one uploads something, then something is wrong. Deleted it. If no one, including skilled users can get it, why should I bother contributing on here? I think that is very unfair to say we couldn't "get it" @nitenurse79 The instructions given by you, just did not render the same result that you posted. Someone else can rewrite it then. I'm out of here. So sorry you feel this way @nitenurse79 and hopefully you will re-consider at a later date ?